It’s not a food court. 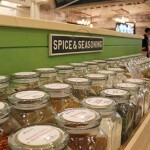 It’s a food hall. And never would the Anaheim Packing District be mistaken for anything less. In fact, it might just be the hippest new dining destination in Orange County – and it has its sights set on making your family a bunch of foodies. 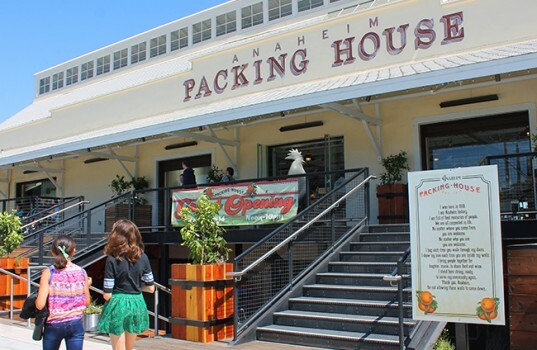 After four years of planning and development, the Anaheim Packing District finally opened (to the cheers of OC’s food lovers) on May 31st. The Packing District, located at the intersection of Anaheim Blvd and Santa Ana Street, includes the restored Packard Building and former Car Showroom, Farmers Park and the restored citrus Packing House. 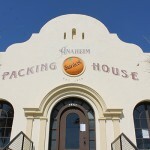 One of the few remaining packing houses from the agricultural era for which Orange County is named, the Anaheim Packing House was built in 1919 and served as a hub of commerce for the area. For years the Packing House building went unused, but was re-imagined in recent years by LAB Holding, LLC, the developers of The Lab, The Camp, and SoBECA in Costa Mesa. 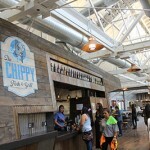 In the Anaheim Packing House, the focal point of the District, they have captured a bit of Orange County history and respectfully and beautifully connected it to today. Brilliantly, they linked the two epochs with food. Really. Good. Food. 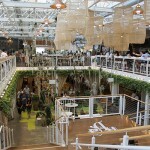 The two-level Packing House features a large central atrium with communal dining surrounded by cafes and kiosks of varying sizes as well as outdoor picnic gardens and a building-length dining porch looking out to the outdoor marketplace, Farmers’ Park. There are no chain restaurants to be found. 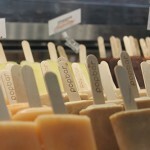 Independently owned shops serving up artisan foods and products, from handmade ice pops to waffle sandwiches; from fresh-butchered meats to crepes, sushi, soul food, chocolates and “strangely good juice,” there appears to be something attractive to – and healthy for – every taste bud. It’s a perfect setup for an adventure in eating. A family can split up at the giant rooster statues that welcome guests at the entrance, each get the food they want, and plan to meet on the bottom floor of the two-story building, where the central atrium opens all the way to the tall, bright ceiling – just below the mid-way platform where the live bands set up to charm the crowds and diners. After enjoying dinner, they can all break again to hunt down desserts and meet in the “back yard” near the giant outdoor fireplace. If Grandma and Grandpa are part of the mix, they can monitor the little ones if Mom and Dad inadvertently lean up against a faux packing crate and stumble into a speakeasy.